Wondering where to get moving boxes and Packing Supplies for your interstate removals? Then relax as with just one call you can get in touch with one of our expert moving and storage who can help. We provide high quality boxes moving that are both strong and durable. We do not use the industry standard boxe removals, as we have a supplier whose manufactured cardboard is of a better quality and higher grade which in turn provides a stronger box for our clients. Using the best Cartons for Moving home ensures that your boxes do not suffer from crushing or damage during transit. We have created a niche in the contemporary market for our abundant supply of Book/Wine cartons and T-chest cartons that are known for their high standard and durability. 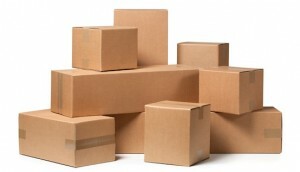 We have moving cartons of various sizes to assist you with the packing of all types of items. You can either choose to pack your belongings on your own or hire a professional for the same. In either case, boxes for moving are an inevitable requirement. We can assist you with the most tedious part of interstate removals, i.e. packing up your home. We boast a team of expert removalists who are highly skilled in professional pre packing. We insist on best quality service which is why we only sell high quality removals cartons! We can supply moving boxes for removals to any state, whether you are moving from Melbourne to Brisbane, or in the other direction around Australia.